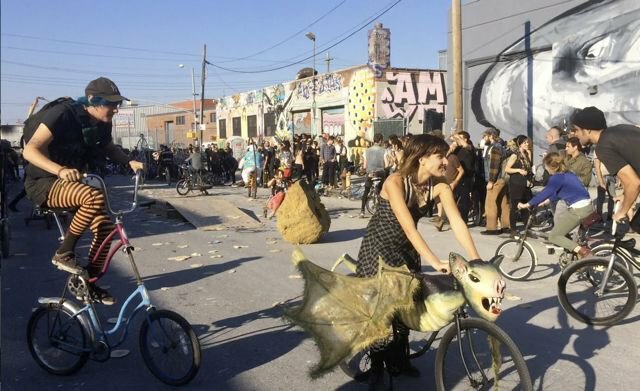 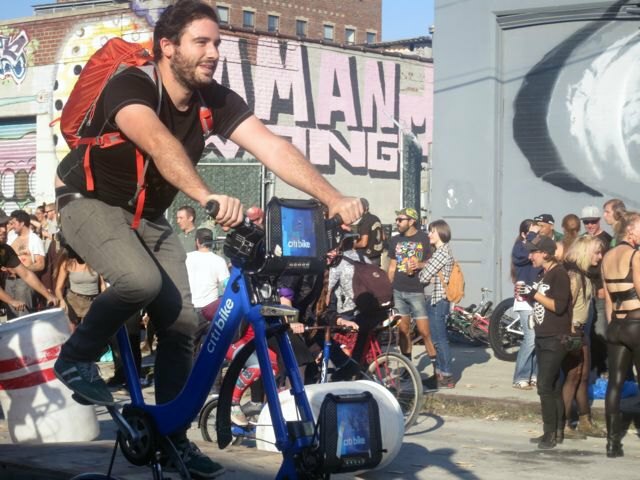 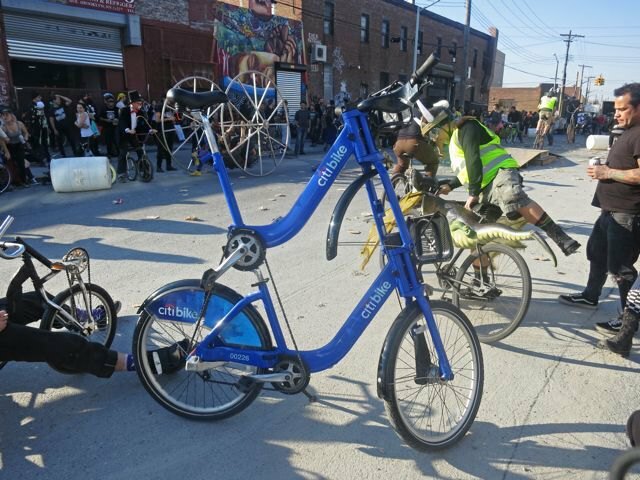 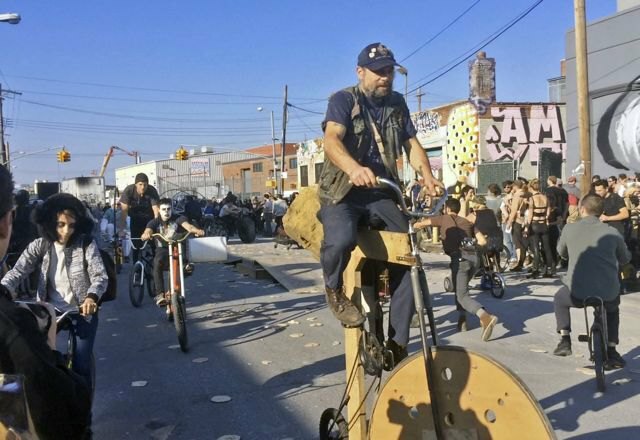 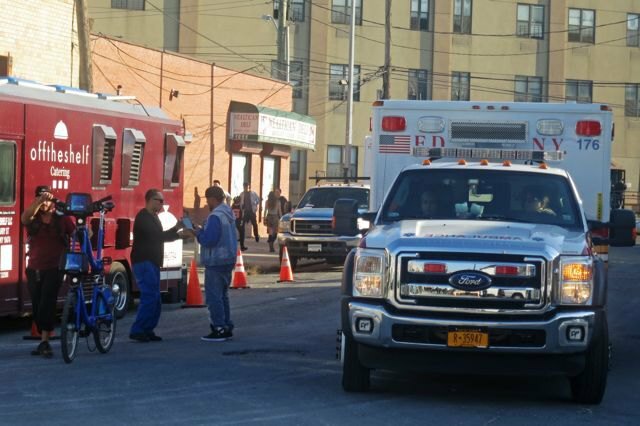 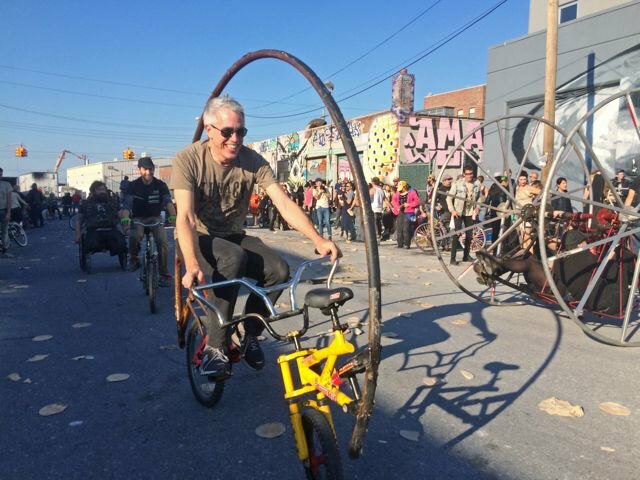 The 11th Annual Bike Kill event took place this past Saturday under the gorgeous skies on Gartner Avenue in Bushwick (it was moved from the parking lot behind Bed-Stuy's Home Depot). 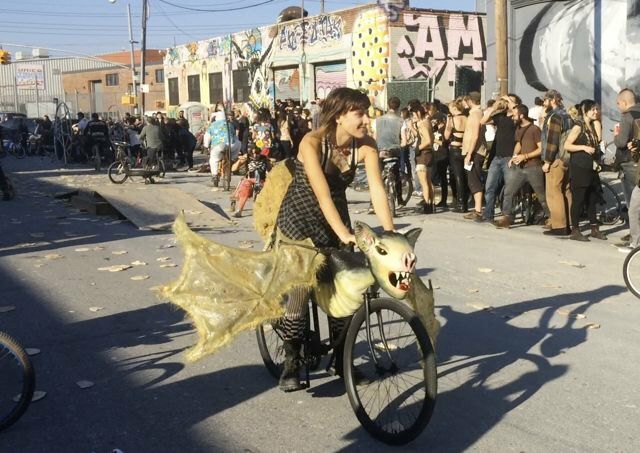 Any mutant bikes, were available to the brave and raucous crowd. 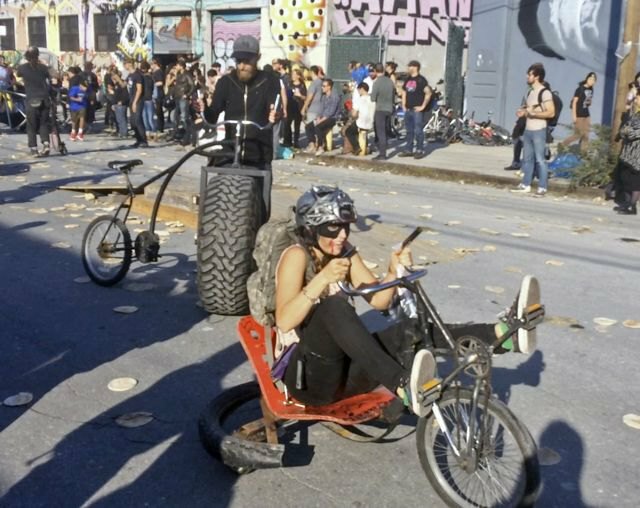 People were throwing pita bread frisbees and a large foam skull while dodging large plastic barrels as well as other bikes while music blasted. 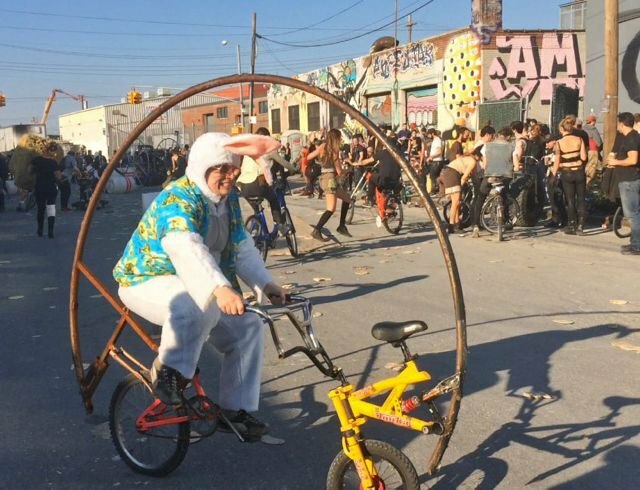 Bunny Mike brought four of his creations over from Jersey. 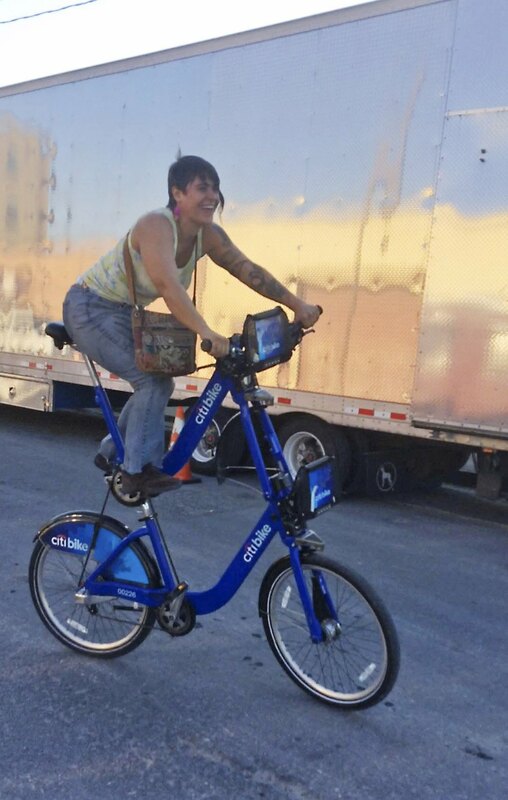 Devon McEnteer, also from Jersey, rode her first tall bike, the double-decker Citibike, which was clearly a crowd favorite. 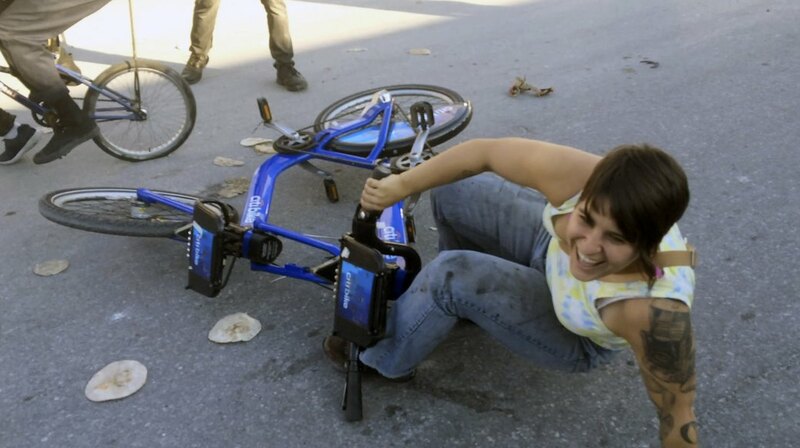 She laughed all the way fallng down. Bike Kill was organized by the Brooklyn chapter of the Black Label Bike Club. 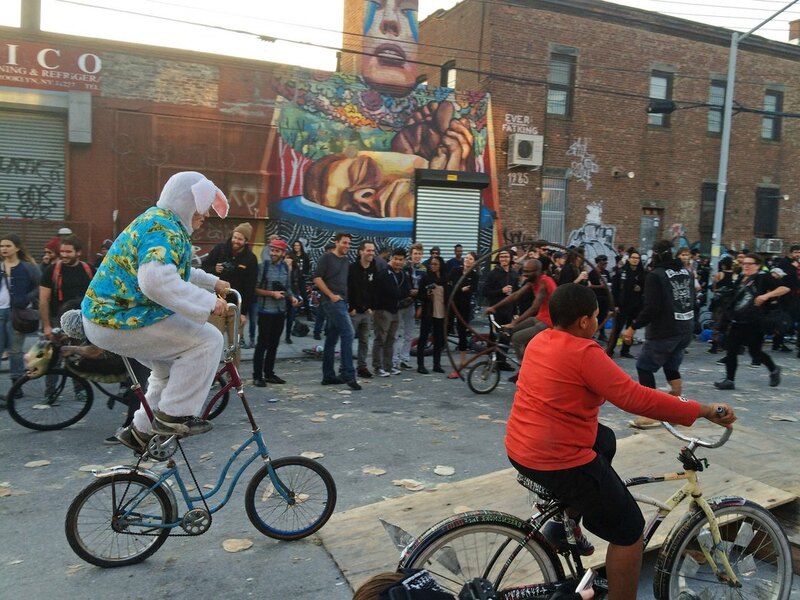 Check out the photos if you missed this bike insanity! 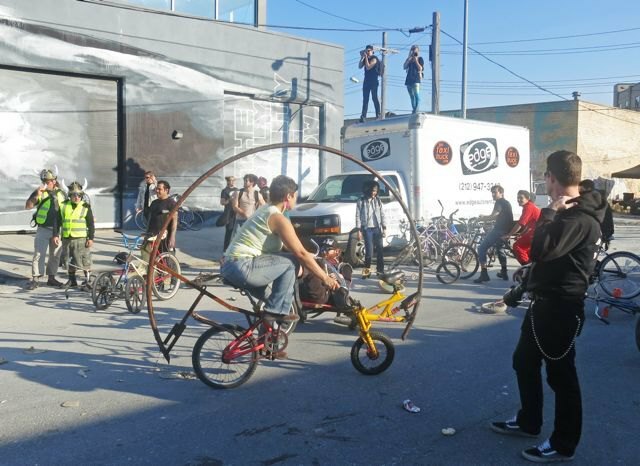 One of the bunny's creations. 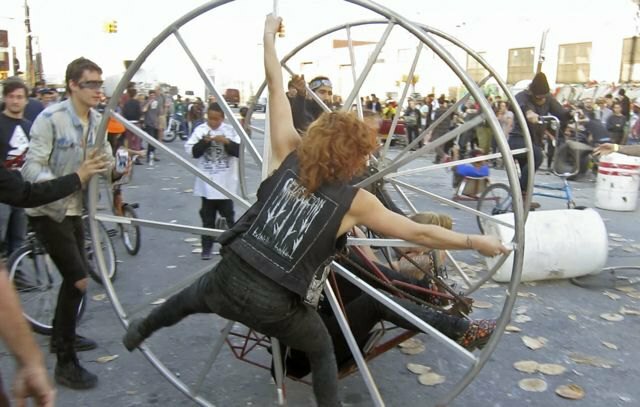 ...and laughing all the way falling down.